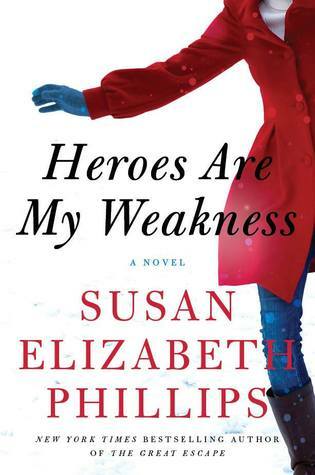 Susan Elizabeth Phillips has changed it up a little with her latest book. In a salute to some of her favourite writers of earlier years she has written a novel that combines elements of the gothic with her own contemporary romance style. It works for me! Why churn out more of the same all the time? 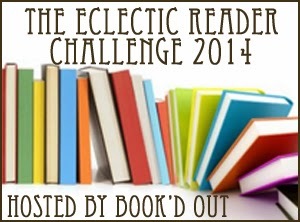 She has challenged herself as a writer and has then challenged her readers to adapt as well. I applaud her for that, and it is with the promise of a good book to be relished, I settled down to read this one. I was soon engulfed in a cold, wintery scene with a menacing atmosphere. Annie the heroine has arrived on the island of Peregrine off the coast of Maine. She is penniless and accompanied by her beloved puppets and she is heading for the only item to her name, Moonraker Cottage. If she wants to keep this cottage she has to live on it for two months or she loses it. A condition laid down by the owner of the towering house just above the cottage - Harp House. Her mother when dying said that Annie would find something in the cottage that would be her inheritance. At the moment the owner is away and living in Harp House is Theo the son, and past nemesis of Annie - they have a history, and its left a bad taste in Annie's mouth. When things start to become menacing for Annie, naturally she blames Theo and has her own little ways of getting back at him, she has skills does Annie that come in handy at times. Also at Harp House is a beautiful black stallion, a black cat called Hannibal, Jaycie the housekeeper and her mute four year old daughter, Livie. Annie immediately connects with Livie, or actually its Scamp that connects with Livie. As I said Annie is gifted in many ways. I loved how this relationship developed. Wonderful. I appreciated the accomplished writing, the revealing of the various characters in their highlights and lowlights, the mystery - I didn't pay enough attention to the little hints of who was ultimately trying to be rid of Annie, but it was logical when all was revealed. The characters are realistic and a little different, the exploration of their background history was so much part of the story. The puppets were an inspired addition and I loved Annie's use of them. Susan Elizabeth Phillip's quirky humour was evident, although I didn't have a laugh out loud moment until I was quite a way into the book. At first I found Theo unlikeable, but that changed as I read on. The romance between Annie and Theo is delightful and sizzling - there is some heat, but it does not dominate the book - I like that. Loved the epilogue - thank you Susan Elizabeth Phillips for another wonderful read. I enjoyed your review. This book sound like it is rich with characters and is an enjoyable read. Yes Pat, it was enjoyable and different to her usual style, but still her voice is there. I want this one! Thanks for a great review. I used to live on the coast of Maine and it can be atmospheric and good for a suspenseful story. I think now I would like to visit Maine - it sounds like it has character! How wonderful to have lived there at some point. Oh my, I must read this. I LOVE Susan's writing, but you have to admit a lot of her books features the heroine being beat down by just about everyone. Seriously, it's so depressing. This one sounds great, and just in time for Halloween! I have to admit I have not noticed that in her writing - I guess we all notice different things. I will read with different eyes next time to see if I can see it.